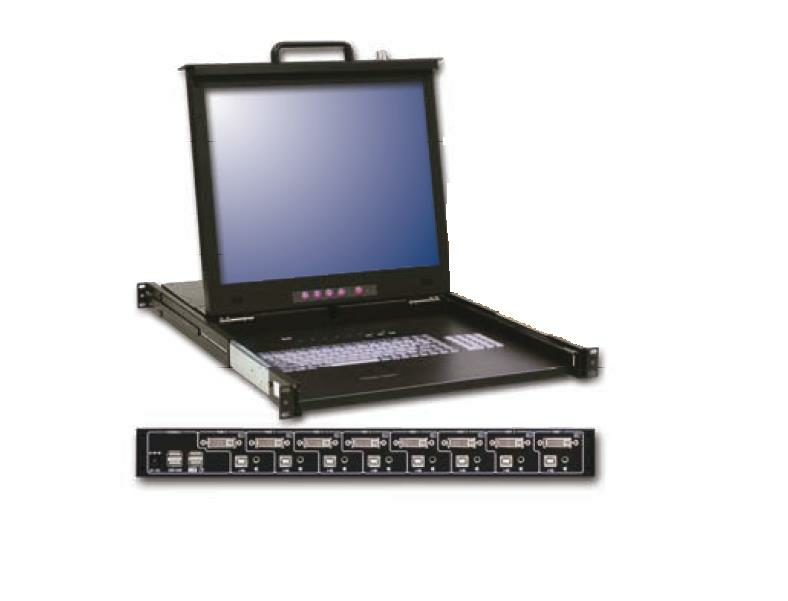 Smart KVM 17" Dual Rail KVM Drawer with 8 Port USB DVI KVM Switch. Depth 650mm includes 8 DVI & USB Cables. ex Demo unit, One Only 1280x1024 Resolution.